A young princess with a pure heart plays with three gnomes who are handicapped. She is kind and accepting to her new friends. In turn, she gains another friend. 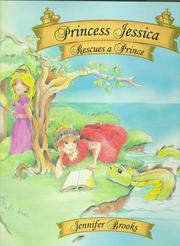 Brooks, Jennifer, “Princess jessica rescues a prince,” Children's Picture Book Database at Miami University, accessed April 18, 2019, https://dlp.lib.miamioh.edu/picturebook/items/show/6047.